I have been trying to build my fabric stash. 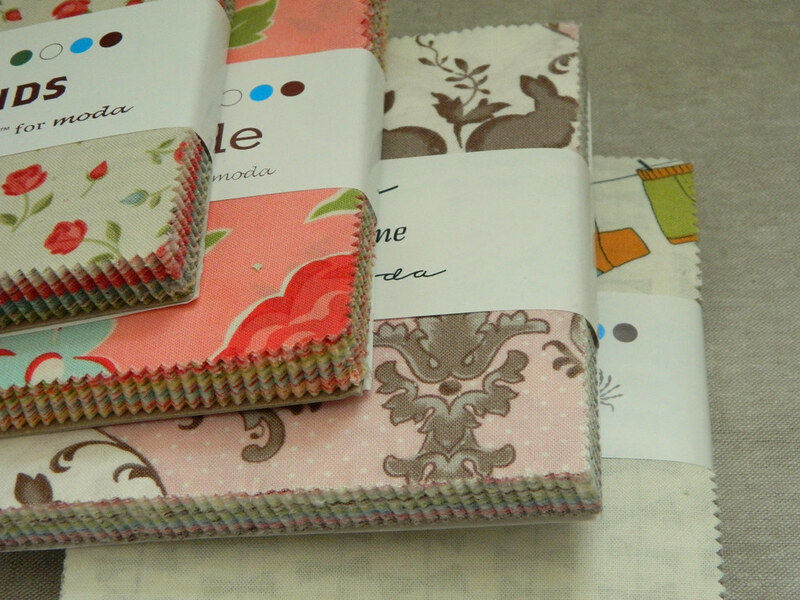 As you know, it takes time to build a good collection of fabrics. But this week I was very lucky and my collection grew a little bit. My wonderful husband suggested I should go to Jo-Ann. we were running errands near the store and he said -You haven't been at Jo-Ann in a while, do you want to stop by?- ( It had only been less than a week, but that is a long time for me).Well, that is an offer I can't resist! 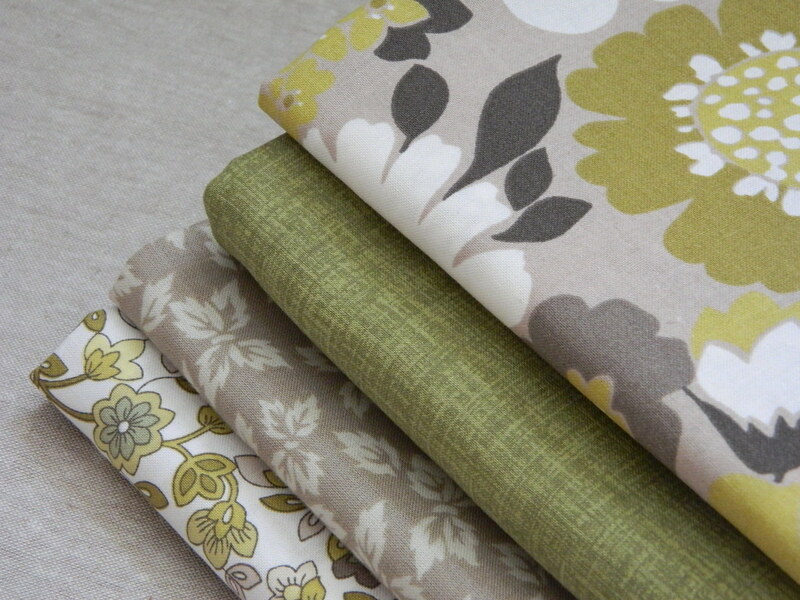 I ended up buying these beautiful fabrics in the green and brown tones. Then a package arrived in the mail... more fabric. Last week I won a giveaway hosted by Beth from Plum and June and sponsored by Fat Quarter Shop. I was so excited when Beth e-mailed me that I had won the gift card, but then I couldn't decide what to get... 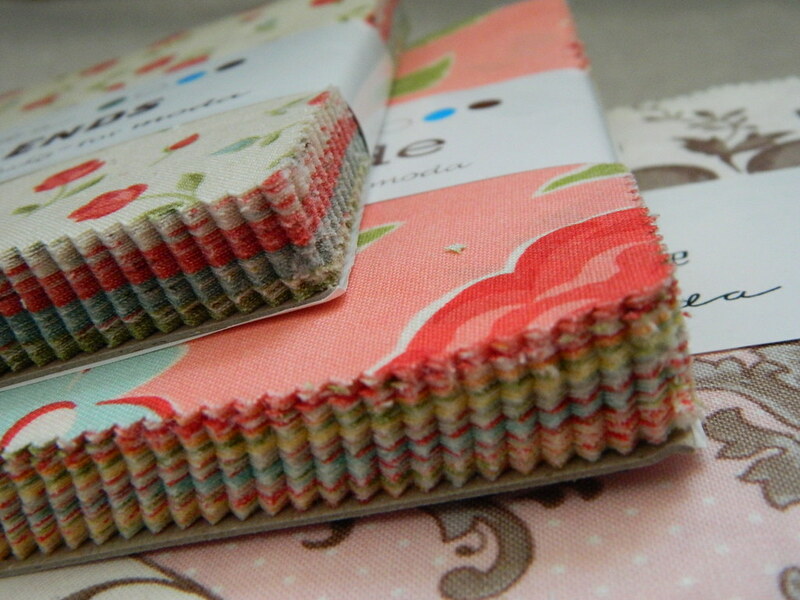 I ordered these charm packs of fabrics that had been on my wish list for a while. The are so beautiful, I love how they look all the pieces of fabric neatly stacked together. Thank you Beth (Plum and June), the Fat Quarter Shop and of course to my wonderful husband, you made me very happy this week.